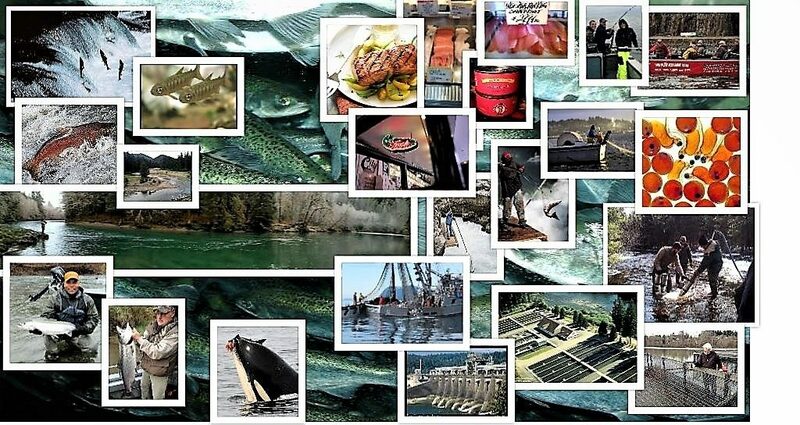 Northwest Fisheries Enhancement -NWFE has been busy these last few months and year, introducing our directions, building partners, working with CFOs, building projects, building our advisory groups and marketing NWFE. NWFE Board of Directors traveled to Washington DC for the National Hydro-power association (NHA) annual conference with a presentation and introducing NWFE directions, where we met with managers of Northwest Utilities, US Army Corp of Engineers managers, NHA President and Executive Director, NW Hydro power President and E.D., Federal Energy Regulatory Commission and US Dept of Energy senior managers and more. NWFE was well received and invited for future program management discussions. I recently presented to the Northwest Power and Conservation Council /NWPCC councilmen and the Fish and Wildlife committee and council chairman introducing NWFE directions, programs and partners as well as introducing them to our partner Riverence’s modern Recirculating Aquaculture System egg rearing facility. We met with Washington Department of Fish and Wildlife Director, Deputy Director and state hatchery manager in regards NWFE directions and looking to assist in any needs. NWFE met with Oregon Department of Fish and Wildlife Director and Commissioners introducing our Directions. I Met Chris Oliver, NOAA assistant administrator for fisheries and introduced NWFE Directions. Met with NOAA West Region Director Barry Thom and other introducing NWFE directions and discussions. I attended NOAA and American Fisheries Society Fish Culture conference. NWFE met with Washington state Legislation senior Senator and Congressmen in regards future legislation. More updates to follow soon. In the Northwest, local governments and stakeholders share the responsibility of supporting salmon and habitat recovery. Together, NOAA and the Snake River Salmon Recovery Board are working to improve habitat, restore salmon, and help the local economy. Watch the video below. Annual Guidance for 2018- Released 2/07/2018- the first priority is now – • Maximize fishing opportunities while ensuring the sustainability of fisheries and fishing communities. we can reinvigorate our efforts to promote and facilitate marine aquaculture production to increase our overall U.S.
just as effective while doing so more efficiently. • Maximize fishing opportunities while ensuring the sustainability of fisheries and fishing communities. • Recover and conserve protected species while supporting responsible fishing and resource development. • Improve organizational excellence and regulatory efficiency. improve, our successful stewardship mission. A unique partnership from a power utility company and a Non-Profit organization are working to make a difference and improve Adult returns of Salmon to the Cowlitz river. Through a collaborative effort and unique program between Tacoma Power, a small group- Friends of The Cowlitz (FOC) and Washington Department of Fish Wildlife (WDFW) 50,000 Springer Salmon were released and are beginning their trek to the ocean with the hope of growing to Adults and returning back to the Cowlitz River. Springer Salmon (named that as they return earlier/ in the spring than other Chinook Salmon) These salmon started life in Tacoma Powers Cowlitz salmon hatchery in Sulkum WA managed by WDFW, their parents were spawned in October, the eggs incubated, they were raised to a fry size, marked (finclipped) as hatchery fish then transported down river about 10 miles by truck by Tacoma Power /wdfw staff at just over 2” in size, to net pens owned and managed by the FOC volunteers where members feed and assist them for the months it takes them to grow to release size until Tacoma Power and WDFW say time to go kids. Tacoma Power provides the fish, feed, support assistance and monitor fish health. FOC volunteers build, clean and manage the net pens and salmon feeding, monitor their growth and health, if any concerns call for assistance. Tacoma Power/ WDFW personnel assist FOC members with the release. While these are just a small percentage of the fish released by Tacoma Power hatcheries this unique hatchery satellite program helps make a difference. Tacoma Power Hatchery complex manager Eric Shoblum was onsite to evaluate the releases, “there may be further potential for these types of programs”, said Shoblum, who’s assisting in the hatcheries and regulatory planning process. Shoblum has extensive experience in net pens and acclimation sites in other regions, he’s evaluating the effectiveness and how they might add to the efforts of Tacoma Power to increase adult returns to the Cowlitz River. It gets more complicated in today’s heavily regulated fisheries in reporting and the planning process we go through to NOAA and FERC but these types programs may help and we’d like to support them if they can be accepted by the regulator agencies! Northwest Fisheries Enhancement –NWFE was also at the release observing the efforts of Tacoma Power and FOC. Projects like these can be a model for other Community Fisheries Organizations around the Northwest. Acclimation pens, rearing or alternative conservation programs, NWFE portable conservation hatcheries, remote incubator sites all can be done and see results in improved adult fish return of not just hatchery but wild fish born in rivers and this is a great project. Programs like this supported by Public Utilities that have mitigated responsibilities, working with interested groups and CFOs can help make a difference in Salmon and Steelhead adult returns to a river system said Larry Pryor of NWFE and may decrease rate payer costs. Alternate conservation programs that NWFE and CFOs can manage like this collaborative effort can help make a difference. There are a several types of programs around the NW we’re helping and this is a great example of one, Pryor said! FOC has been assisting in Net Pen rearing for nearly 20 years, a program began by Don Glasier- president of FOC, at times as many as 25 net pens along the Cowlitz River with Salmon, Steelhead and Searun Cutthroat Trout, but now just a few pens. In past studies his net pen reared fish have had higher Smolt to Adult Returns (SARs) than the hatchery released fish, he believes due to his and the volunteers attention, The program success is due to the support of Tacoma Power, WDFW and the many volunteers of Friends of the Cowlitz and their supporters. FOC will receive 10,000 searun cutthroat later in the week from TP to be reared and released for their upcoming journey. NWFE provides project planning, biological, advocacy, funding development support to CFOs to build sustainable, effective programs like this and others around the Northwest. More NWFE Blogs coming soon! Is your money spent well? We think NWFE can offer better options! Building community programs that work and competitive hatchery management options with better Adult Return results.